Kong Ling Kong- Seduction Series, Works of Zhan Wang CAFA Gallery, Beijing, PRC. Beyond Twelve Nautical Miles: Floating Rock Drifts On The Open Sea, Lingshan Island Jiaonan City, Shandong Province, PRC. Inlay Great Wall, Remnant Great Wall of Badaling, Beijing, PRC. 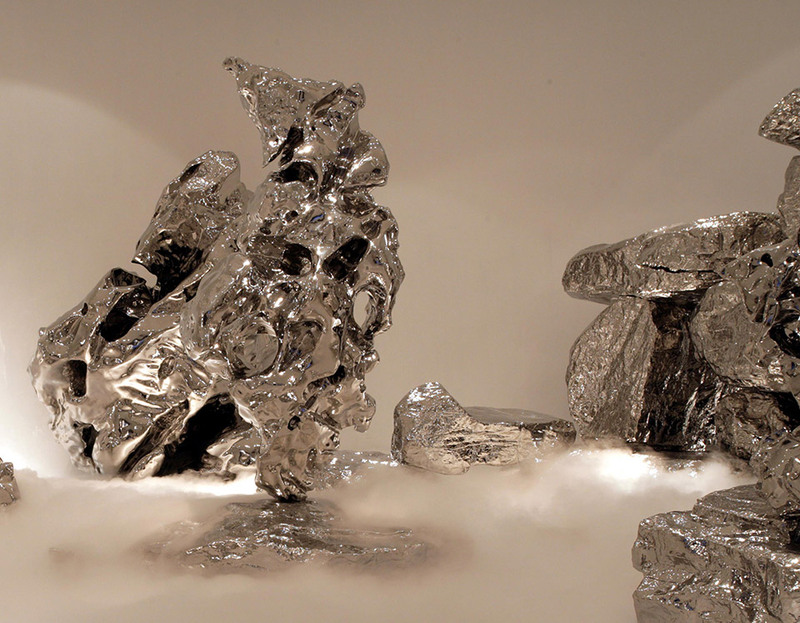 Sham Nature : Zhan Wang�fs Artificial Jiashanshi Hanart Gallery, Hongkong. Inside out – Floating Rock on Sweden Gothenbog, Sweden. Beijing Youth Art Exhibition , Chinese Art Gallery, Beijing, PRC. The First Studio Art Exhibition, CAFA (Central Academy of Fine Art) Gallery, Beijing, PRC. New Generation Art Exhibition Chinese History Museum, Beijing, PRC. 7,1 National Art Exhibition, Chinese History Museum, Beijing, PRC. Gaoxiong Art Gallery, Taiwan & Beijing. Contemporary Young Sculptors: Invitation Exhibition ZIFA Gallery Hangzhou, PRC. 20th Century China, China Art Gallery, Beijing, PRC. Agree to 11/26 As a Reason, Postcard Exchange, Hangzou, Shanghai, Beijing, PRC. 2nd National City Sculpture Exhibition, China Art Gallery, Pékin. 45 Degrees as a Reason, Postcard Exchange, Hangzou, Shanghai, Beijing. Development Plan, Triplicate Studio 1st Exhibition Debris of the Central Academy Of Fine Arts,Beijing. Woman Here,Triplicate Studio 2nd Exhibition, Contemporary Art Gallery, Beijing. Art Museum of Capital Teaching University, Beijing. Exhibition of Works Selected by Critics (1995 Sculpture & Installation),Jingsu Art Monthly�h. Certificate Of Award TEDA International Sculpture Symposium, Tianjin. The First Exhibition in Mountain Forest Sculpture Park, Huairou, Beijing. The First Academic Exhibition Of Chinese Contemporary Artist Hong Kong Art Center, Hong Kong. Sculpture & Contemporary Culture, The Research Report on Chinese Contemporary Art Chongqing, Sichuan, PRC. 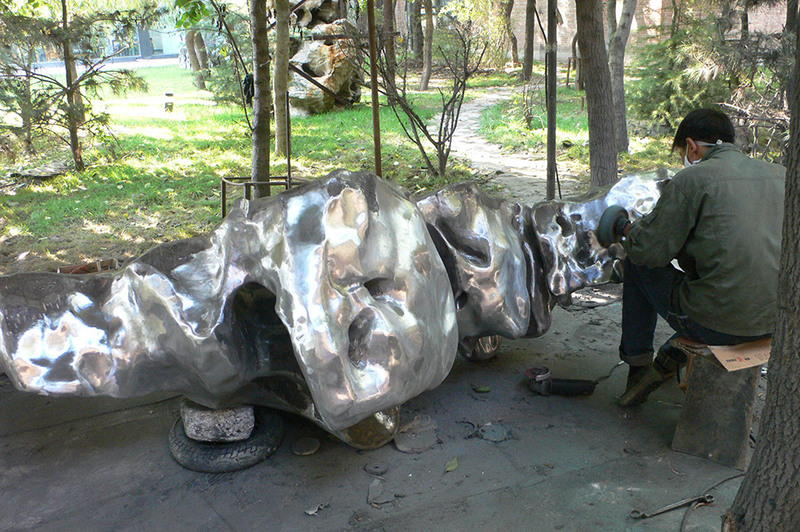 Invited Works of Chinese Contemporary Sculpture. Reality:Present & Future – 96 Chinese Contemporary Art International Art Place, Beijing, PRC. The First Sculpture Activities in Guilin Dayanggu Art Palace Giulin, Guangxi . Dream Of China �e97 Chinese Contemporary Art, Yanhuang Art Museum, Beijing. Chinese Contemporary Art Exhibition , Watari-UM, Japan, Tokyo,Japan. Forever Return 97 Nanshan Sculpture Exhibition Nanshan Sculpture Institute,Shenzhen, PRC. Cities on the Move, Sucession,Vienna, Austria. Annual Exhibition of Contemporary Sculpture , Hexiangning Museum, Shenzhen. Building Blocks, The Courtyard Gallery, Beijing, PRC. 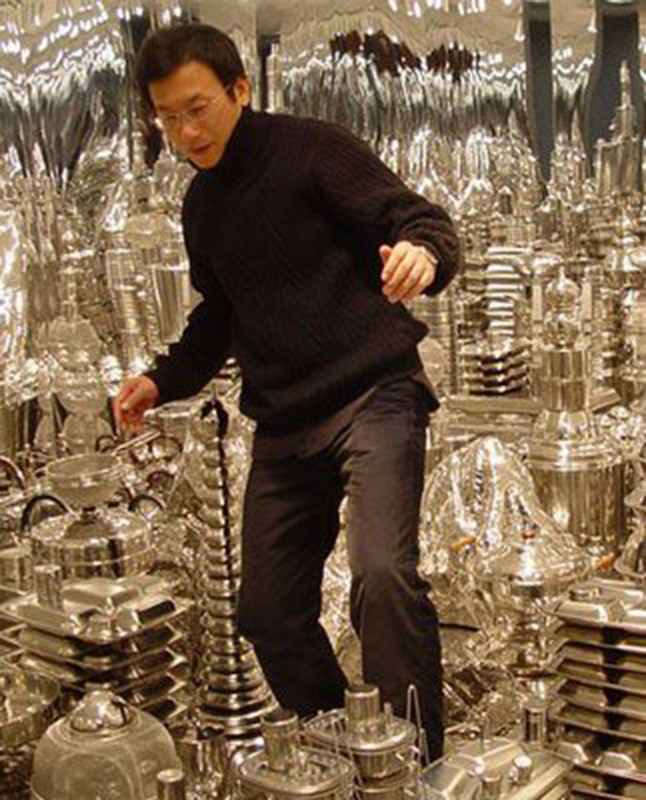 A Revelation of 20 Years of Contemporary Chinese Art . Cities on the Move Museum of Contemporary Art, Bordeaux, France. P.S.1 Contemporary Art Center, New york,USA. Half a Century of Footprints, Central Academy of Fine Arts, Sculpture Institute , CAFA Museum, Beijing. Autonomous Action, Art Space Gallery, Auckland, New Zealand. Signs of Life, group exhibition of modern Chinese art Modern Art Studio, Beijing. The Door of the Century Chengdu Art Museum,Chengdu. The Future Plan of Ecology City, Shenzhen, PRC. Volume & Form, Singapore International Sculpture Singapore. Transience: Chinese Experimental Art at the End of the Twentieth Century, The Smart Museum of Art , Chicago,USA. Chinese Contemporary Art , LIMN Gallery ,San Francisco,USA. Cities on the Move, Louisiana Museum of Modern Art,Humlebaek, Denmark. Hayward Gallery ,London,UK;. Museum of Contemporary Art Helsinki, Finland. With complements Cotthem Gallery Belgium. 2000�fShanghai Biennale Shanghai Art Museum, Shanghai. 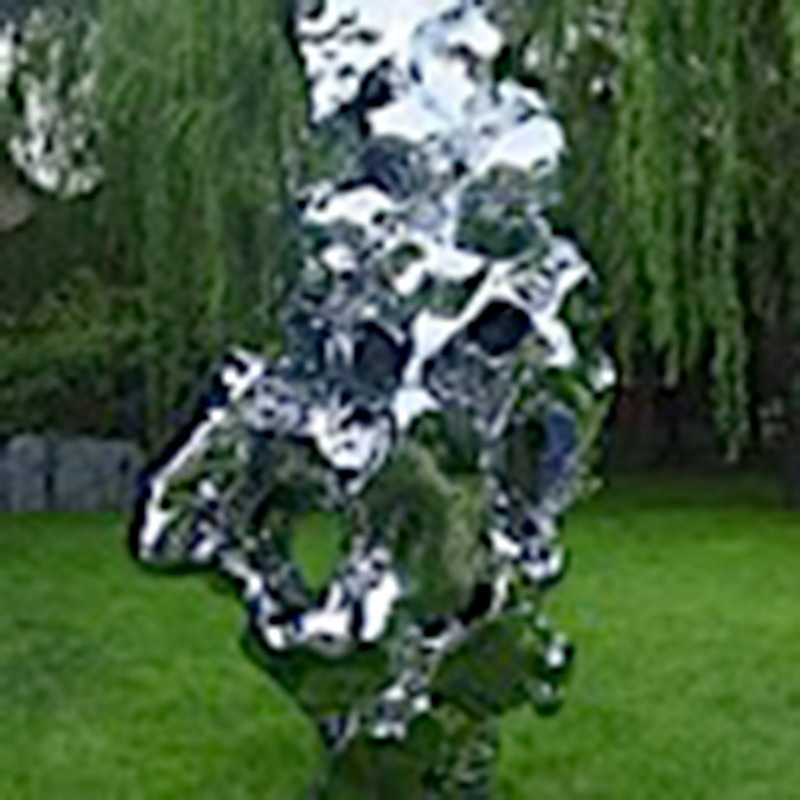 �fThe West Lake International Sculpture Invitational Exhibition Taiziwan Park, Hangzhou, PRC. The World of Real and Illusor , Yunfeng Gallery, Beijing. Documentation of Chinese avant-garde Art in 90s, Fukuoka Asian Art Museum, Japan. Humanities Landscape, Langdao, Guilin, PRC. Open2000, International Exhibition of Sculpture and Installations, Venice,Italy. Invitation Exhibition on of Contemporary Chinese Sculpture, Qingdao Sculpture Museum, Qingdao, PRC. Oriental Plaza Selected Contemporary Sculpture from China, East Square, Beijing, PRC. Poster Exhibition of Chinese Avant-garde,Red Door, Beijing, PRC. HOTPOT kinesisk samtidskunst Kunstnernes Hus, Oslo ,Norway. Making China, Ethan Cohen Fine Arts, New York. Rocks and Art-Nature Found and Made, Chambers Fine Art. Dream-contemporary Art of China , Atlantic Fine Art, London, UK. Cross Crossing, Modern Art Gallery, Chengdu, PRC. Paris-Pékin, Espace Pierre Cardin, Paris, France.